ALT’s Open Course in Technology Enhanced Learning (ocTEL) is entering its final week. 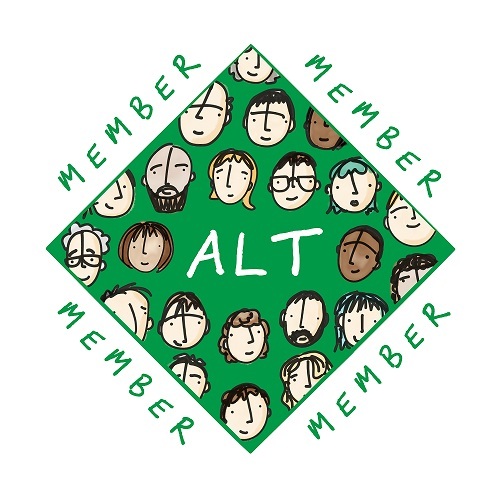 ocTEL has been and continues to be an excellent opportunity to explore ways in which we support ALT’s community of members. 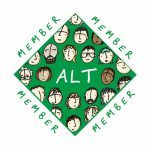 Last year the work we did in setting up a blog and community aggregations site directly feeding into the development of the ALT conference platform. This year one of the areas we were keen to explore was the digital badging of community contributions. The use of community badging is well-founded and predates the web itself. This area has however gained extra interest by educators in part due to Mozilla Open Badges. Mozilla Open Badges specify a framework for the description and award of badges using a common specification. The main benefit or this approach is interoperability. Recipients of Open Badges can collect badges in one place, manage them into collection and control how they are shared across sites, social networks and personal portfolios. One such place is in a Mozilla Backpack. In the case of ocTEL the creation and award of digital badges, particularly within a community context, has been made very easy thanks to the BadgeOS™ plugin for WordPress. BadgeOS has a number of methods which trigger the awarding or badges including reviewed submissions as well as the completion of a defined set of steps. One issue for us has been that to issue Open Badges with BadgeOS requires integration with the badge awarding and display site Credly. Sites like Credly are very useful parts of the badge ecosystem but the feeling we had was that if we were going to issue Open Badges we would take on the commitment of hosting the badge data ourselves rather than relying on a 3rd party. BadgeOS, regardless of whether you turn on Credly integration, still provides an excellent framework for creating and awarding digital badges. Even better is BadgeOS is open source and is actively encouraging developers to extend and enhance the plugins core functionality. If you look at the BadgeOS Developer Resources there is a number of ways this can be achieved. Badges designed and awarded using BadgeOS are now exposed as Open Badges compliant Assertion – Assertions are the DNA of Open Badges. They are data files which describe the badge and identify who it has been awarded to. Behind the scene the add-on is using the BadgeOS created data turning it into the required object recognised as an Open Badge. Critically this data existing in the host site. For example, one of my ocTEL badges exists here and is shown below in a formatted view. The creation of an interface for the user to add badges awarded using BadgeOS to the Mozilla Backpack – this is technically made a lot easier as the add-on uses the existing Issuer API which provides most of the code to get the job done. The rollout of this plugin in ocTEL is complete as detailed in ‘ocTEL digital badges are now Open Badges: How to add them to your Mozilla Backpack’. I’ve also submitted the plugin as a recognised BadgeOS add-on. The add-on will also shortly be appearing in the official WordPress Plugin Directory. Hopefully this add-on will make it easier for others to issue Open Badges through their WordPress powered site. Like all projects this development greatly benefits for your feedback, which may include coding suggestions or improved functionality, so we appreciate your feedback.